16lbs. 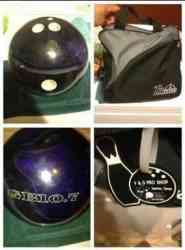 Playermaker bowling ball with carry tote. Only used a few times. Pick up in Denton or meet near by.